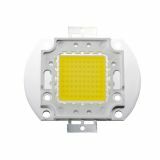 LED diode LL-R5730W-W5H-Q45, 570mW, neutral white, 45-50lm, 120°, 150mA, 3.8V LED diode of 570 mW, brightness 45 to 50 lm, neutral white color and overall dimensions 5.7 x 3 x 0.95 mm. LED power diode, 5W, cool white, 6500K, 320lm, 1.4A, 3.3-4VDC LED power diode with power 5W and color temperature 6500K, cool white. LED diode, 100W, 6000K Power LED diode with power 100 W and color temperature 6000 K, cool white. 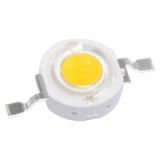 LED diode, 80W, 6000K Power LED diode, with power 80W and color temperature 6000K, cool white. 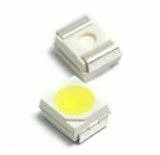 LED diode, yellow, 170-190 mcd, SMD LED diode, yellow, 170-190 mcd, SMD3020. LED Chip 989, 30W, 6000K LED energy saving chip 989, 30W. LED diode, SMD, white cold, 200-250mcd, 20mA LED diode for SMD mounting. White cool colour. 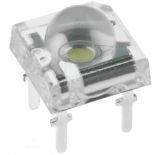 LED diode, ф5 mm, blue, 1200 mcd Blue LED diode f5 mm with transparent body. High power LED, 1 W, green, 522-525 nm, 100-110 lm High power LED, 1 W, green, 522-525 nm, 100-110 lm. List Price 1.70лв. VAT Incl. 1.61лв. VAT Incl. 1.53лв. VAT Incl. 1.44лв. VAT Incl. High power LED, 1 W, red, 50-60 lm High power LED, 1 W, red, 50-60 lm. High power LED SMD diode 1W, 5.25mm, 350mА, 25-30 lm, blue Super bright ( high power) blue LED SMD diod with diameter 5.25mm, current max. 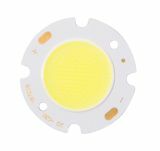 350mA, wattage 1W, luminous flux 25-30lm and beam angle 140°. High power LED, 1 W, UV, 400-405 lm LED diode 1 W, UV, 400-405 lm.